The massive storm cut a swathe of destruction as it struck, threatening the lives of roughly four million people. Super Typhoon Mangkhut — the biggest storm of the year — smashed through the Philippines on Saturday, claiming its first victims. Two women were killed when a rain-drench hillside collapsed on them and another drowned in Taiwan. The two lifeless bodies of the two women in the Philippines were pulled from the soil of a hillside that collapsed after the storm’s torrential rains, police said. 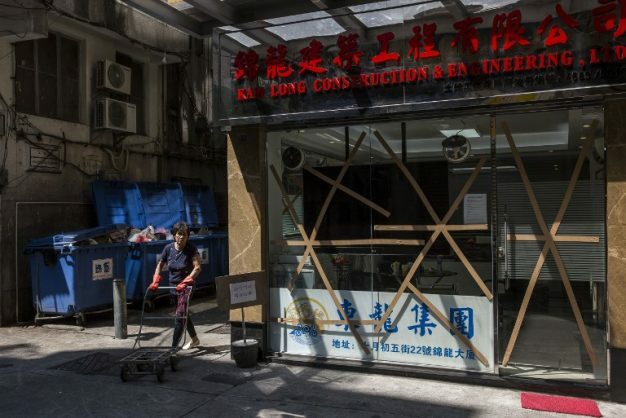 The Hong Kong government said Mangkhut will pose “a severe threat to the region” as many residents in the city and neighbouring Macau stocked up on food and supplies. The president of neighbouring Taiwan, Tsai Ing-wen, told citizens to be ready.